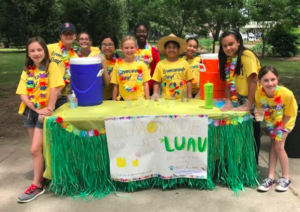 After a successful pilot in 2017, we formally launched Lemonade Day Boston in February 2018. More than 400 students from 21 classrooms in 9 Boston Public Schools participated by completing an 8-hour curriculum teaching them the basic principles of starting and managing a business. Sponsored by Eastern Bank, United Way and MFS Investments, the program culminated with the young entrepreneurs building and running a lemonade stand. The last part of the program was designed to teach them how to manage their money by paying their expenses, keeping some and giving some to a non-profit of their choice. 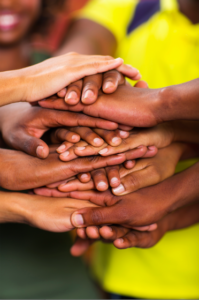 At the same time, NEBiP also created Our Generation Giving Circle and delivered a curriculum to a select group of high school students to teach them the principles of philanthropy and how to identify and support assets in their community, which support the greater good and strengthen the world where they live. Powered by Don Rodman of Rodman Rides, high school seniors had the opportunity to participate in interactive learning, discussion and working sessions on philanthropy. In order to honor the achievements of these young entrepreneurs and philanthropists, as well as provide a forum to recognize the gifts they are giving back to the community, New England Blacks in Philanthropy and Babson College are proud to host the Youth Philanthropy Awards Ceremony to convene students, teachers, non-profits and city leaders, and distribute the accolades and dollars generated throughout these two exciting and successful projects. Please contact Bithiah Carter bcarter@nebip.org if you would like more information about this special event.